All PARK GROVE ESTATES homes currently listed for sale in Gilbert as of 04/22/2019 are shown below. You can change the search criteria at any time by pressing the 'Change Search' button below. 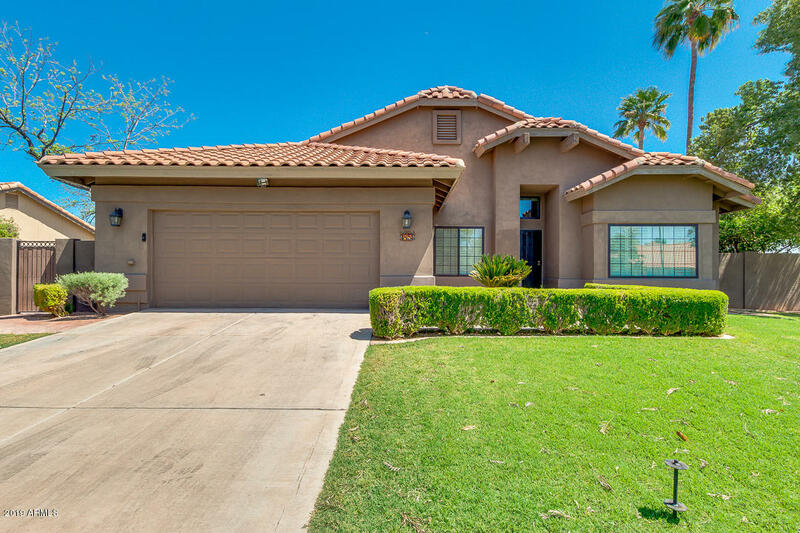 "Come and see this lavish 4 bed, 2 bath property now for sale in Gilbert! Featuring desert and grassy landscaping, 2 car garage, and RV gate, this home is an ABSOLUTE stunner! Inside you'll find dining and living areas, a cozy fireplace, neutral paint throughout, and an elegant kitchen equipped with ample cabinetry, quartz, a pantry, stainless steel appliances, and a charming island complete with a breakfast bar. The fabulous master bedroom is a couple's dream come true, with its full bath which "